From combatting the skills shortage to enhancing company profitability, you know that having a focus on employee experience is essential to your organization’s success. The challenge you likely face, however, is knowing exactly how to build an effective strategy around this key factor. With the right plan, your employee experience – every interaction an employee has with their employer – can directly impact your company’s bottom line (and make for an invaluable culture!). Do you provide feedback and results at meetings and employee reviews, or do you provide this information on an ongoing, continuous basis? The best leaders are those who are able to communicate successes, opportunities, and metrics in real time. Look for ways to keep every employee from your office staff to floor workers informed about company and department performance, notable successes, and action steps to work through identified opportunities. Map out your customer experience. Then, note each step in this process where your employee experience may impact external perception. Look for ways to integrate these two areas of focus and create key performance indicators to begin tracking what impact your focus on employee experience has on performance, culture, customer sentiment, and company profitability. Your employees should be your biggest brand ambassadors! 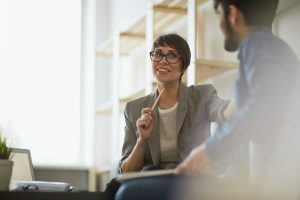 From talent acquisition to business growth, employees who feel valued and part of a unified set of business goals will happily advocate for your business. Create ways to showcase and compliment employees within your organization and encourage employees to share company news across their social profiles like LinkedIn or Facebook. Are you looking for an internal communications tool that is easy to use and enables you to implement your employee experience strategy? Request a free demo to learn more about PDP Solutions!